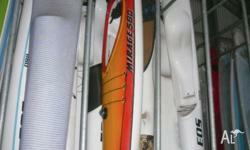 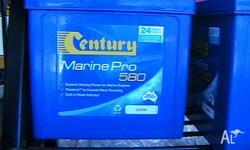 Century Marine Pro 580, 580 cca. 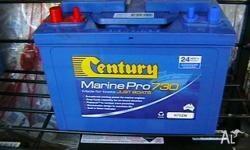 Century Marine Pro Batteries Are The Ultimate In Marine Battery Performance, Designed And Made For Boats-Just Boats!. 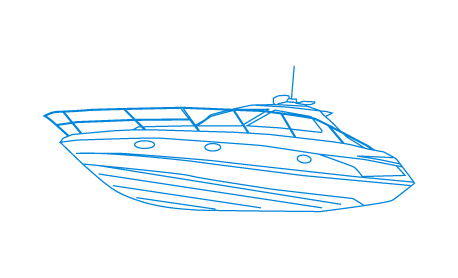 Manufactured Using Thicker Battery Plates, Denser Active Material, Extremely Robust Internal Components And Century's Exclsuive Platelock Technology To Combat Wave Pounding, Engine Vibration And Transportation By trailer. 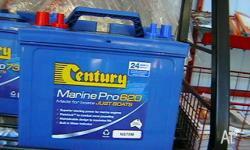 Fast Free Sydney Metro Delivery Service. 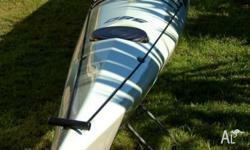 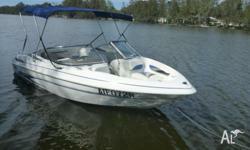 Glastron 175SX V6 Bowrider Excellent cnd 12 mths Warranty!